B-Gay.com has created this privacy statement in order to demonstrate our firm commitment to privacy. The following discloses our information gathering and dissemination practices for B-Gay.com’s websites. We value our members very strongly and recognize their right to keep private information private. We use your IP address solely to help detect and diagnose problems with our server, and to administer our B-Gay.com’s web-sites. Our site’s registration forms requires users to give us contact information like name, email- address and/ or demographic information like your postal code, age, income-level and information about your interests or hobbies. We do not sell, rent or lease our customer lists to third parties. We may, from time to time, contact you on behalf of external business partners about a particular offering that may be of interest to you. In those cases, your personal information (e-mail, name, address, telephone number) is not transferred to the third party. Demographic and profile data collected at our site are used for other purposes. We use this data to tailor the visitor’s experience at our site, showing them content that we think they might be interested in, and displaying the content according to their preferences. This information may also be shared with advertisers on an aggregate basis. 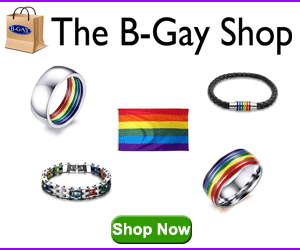 B-Gay.com’s sites contains links to other web- sites. We are not responsible for the privacy practices or the content of such Web- sites. We are very much concerned about protecting privacy on the Internet and limiting access to information to minors. B-Gay.com’s web-sites are not intended for children below 13 years old and we strongly recommend you to consider using one of the following products, which offer parental control (Surf Watch, Net Nanny, Cybersitter) if you are concerned about a minor getting access to our sites. At B-Gay.com security has been put on top of the list from day one. This site has many security measures in place to protect the loss, misuse and alteration of the information under our control. Our servers all run the Linux Operating System, ensuring a stable and secure service. The service consists of several servers. The server containing your personal mail is protected by a well of security features and is monitored 24 hours a day thus making it virtually impossible to break into. B-Gay.com strongly believes in safety on the Internet. When it comes to private safety we strongly recommend you to be careful whom you talk to and what type of information you share on the Internet. Never reveal your real name, your address, phone- number, e-mail- address or any other personal information to strangers. Cookies are small pieces of information that resides on your computer handled by tour browser on your computer. Cookies can contain many types of information, and most large web-sites on the Internet use them. Some browsers (such as Internet Explorer versions 5 and upward) encrypt your cookies. Should someone gain access to your computer, the cookies stored on your hard-drive will be of no value as they are already encrypted and therefore unintelligible. Our servers are under constant surveillance to provide you with an uninterrupted and secure service. Any breach of security will be given immediate attention and in most cases reported to the police. You can contact us should you wish to opt- out of future communications, if you want to change and modify information previously provided or if you have any questions about this privacy statement, the practices of our sites or your dealing with our sites.